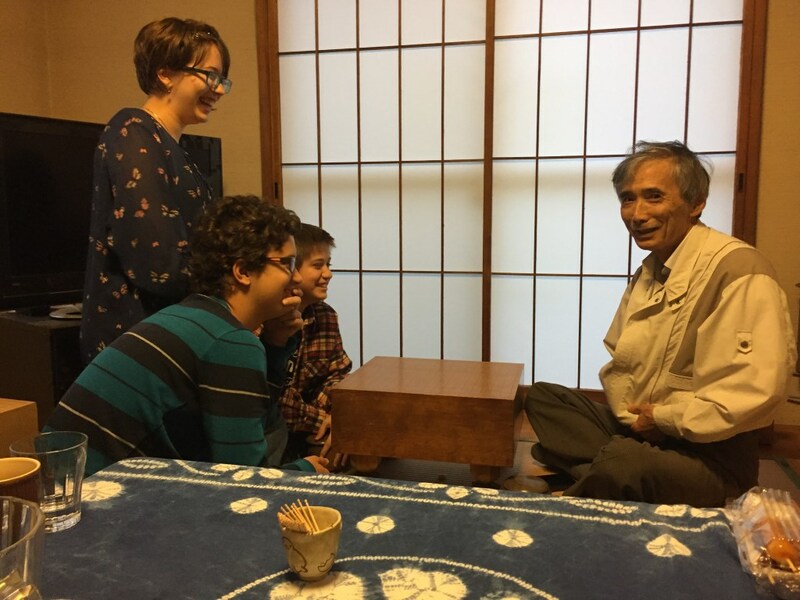 On Friday the thirteenth we went to Uncle Yoshio and Aunt Tamiko’s house. When we arrived at their house we first talked and had a few snacks. 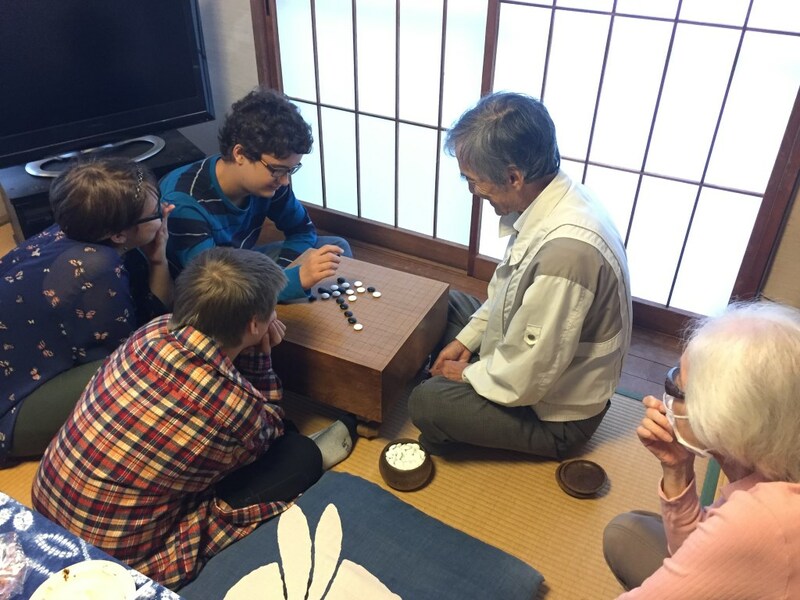 We were then taught by Uncle Yoshio how to play Go and Connect Five. Connect Five is like Tic Tac Toe or Connect Four but on a Go board. 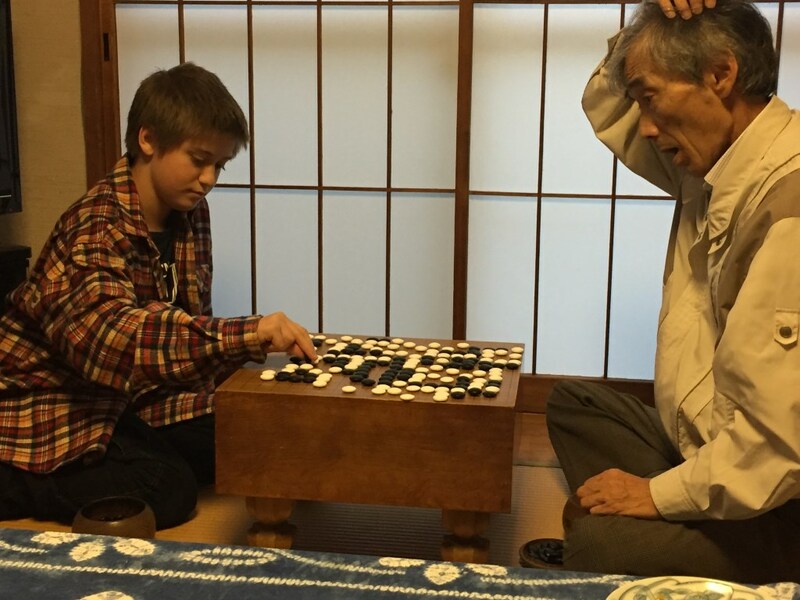 I had a lot of fun playing Go and Connect Five with Uncle Yoshio, he is really good at playing Go, but I was able to beat him at Connect Five. 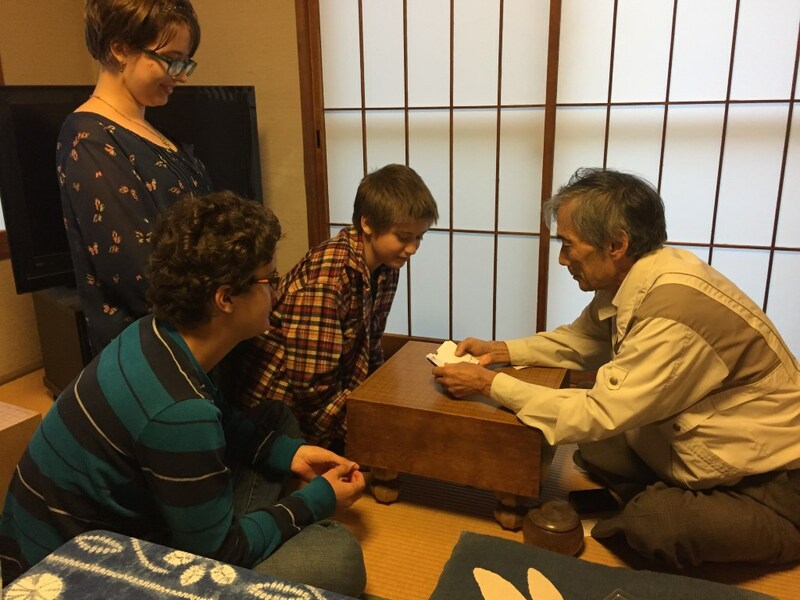 After we had finished playing board games with Uncle Yoshio, he showed us some magic tricks. He did really well, and we couldn’t figure out how he did them. Afterward he showed us how he did the trick. 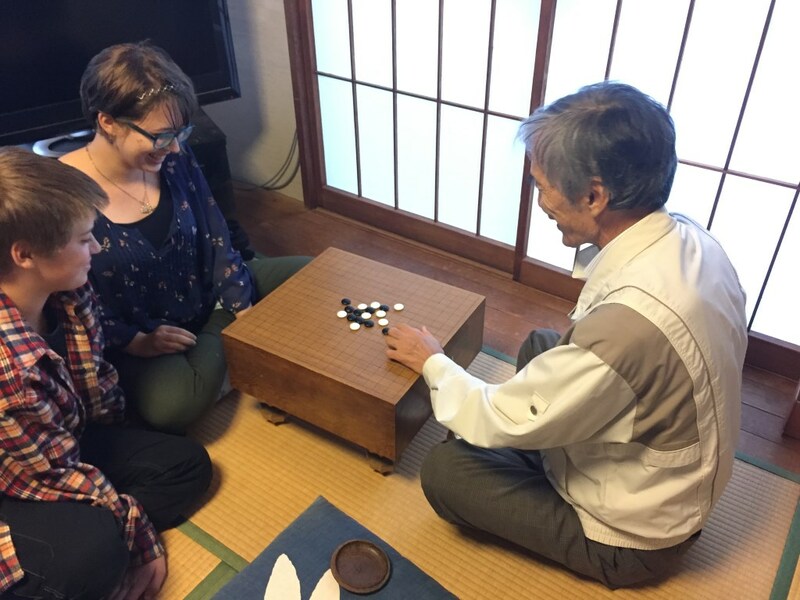 I really enjoyed hanging out with Uncle Yoshio and playing games with him and I am really glad we had that opportunity. The Connect Five game reminds me of my Penta Game. Still going to have to unwrap, open and learn how to play my Go … I am intimidated by it. 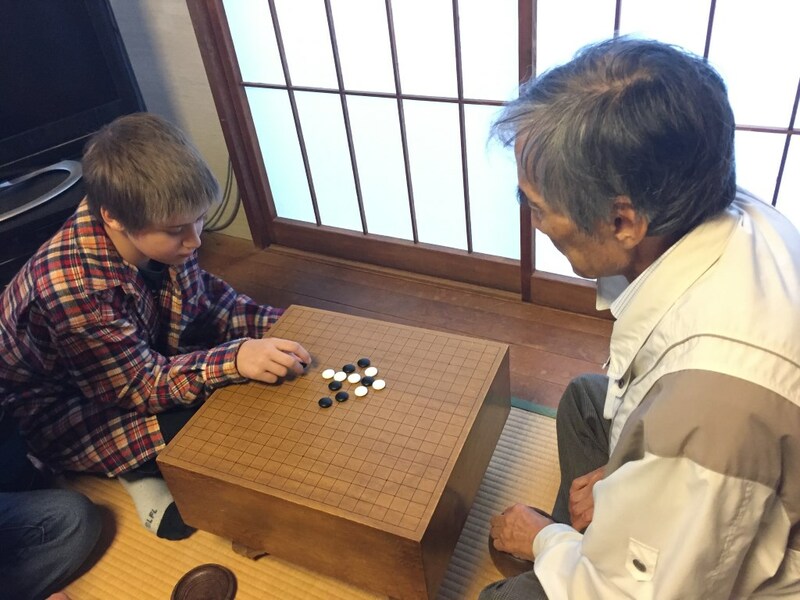 Go is a hard game to learn, but once you get the concepts down it is really fun! It is cool to see my Uncle Yoshio play! He is almost a professional! Miho on DAY FORTY-SIX, FORTY-SEVEN, AND FORTY-EIGHT: Lunch With Chieko’s family and a… TYPHOON!!!!!!!!!! !